The UW School of Medicine is looking for children to participate in a research study. 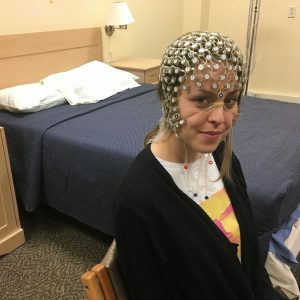 Participation will involve spending one night in a sleep laboratory, doing an MRI scan, answering some questions, and doing some computer tasks. Sessions will be scheduled at your convenience, and evening and weekend appointments are available. This study does NOT involve radiation, medication, or needles. Recruitment criteria: For this study we are accepting 3-12 year old children who have obstructive sleep apnea, children who snore, and children who don’t snore. Do you sometimes have abnormal behaviors during sleep, such as screaming, eating, walking, talking, or engaging in various other activities, with no recall or some recall in the morning? 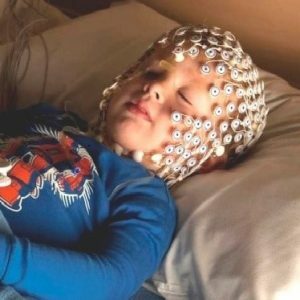 If yes, you might qualify to participate a study using high density EEG to investigate the normal patterns of brain activity during sleep and how these patterns change in sleep disorders called parasomnias. This study does NOT involve radiation, medication or needles, and we can assist with transportation to the lab if necessary. If you have recently had an overnight sleep study for clinical reasons, you may only need to come to the lab for one overnight visit. Recruitment criteria: For this study we are accepting participants between 18-89 years of age who have no serious medical problems, have no drug or alcohol problems in the last 6 months, and who are not pregnant. Study times/duration: 3 visits over 3 (non-consecutive) days. Visit 1 is an intake session (1-3 hours) during regular business hours. Visits 2 and 3 include an overnight sleep recording and a sleep deprivation night in the sleep lab (located at 6001 Research Park Blvd, Madison WI 53719). Feedback, questions or accessibility issues: sleep-and-consciousness@wisc.edu.